There is an old saying in Nepal, “the goat eats the cold of kids.” As the kids are always running around, they don’t feel as much cold as the sedentary older folks. And, hence the saying that the goat eats their cold. But Nepali actresses are adults and they surely feel cold. 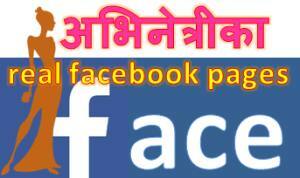 I am talking about D Cine Award ceremony held on December 21. Despite the fact that it was cold evening, they preferred to wear skimpy clothes to show off. Somebody should tell these actresses that wearing less doesn’t make them beautiful. It is the proper dress-sense that makes one beautiful and attractive. Among all those skimpy clothed actresses, the most covered actress – Karishma Manandhar probably was the most beautiful. Karishma is known for her dress sense and maintaining her beauty. The weather that day wasn’t warm. 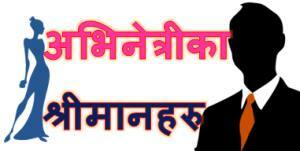 The lowest temperature, is one of the lowest in Kathmandu and it is pretty cold. Do you think the attire the actresses in the following photo are weather appropriate? 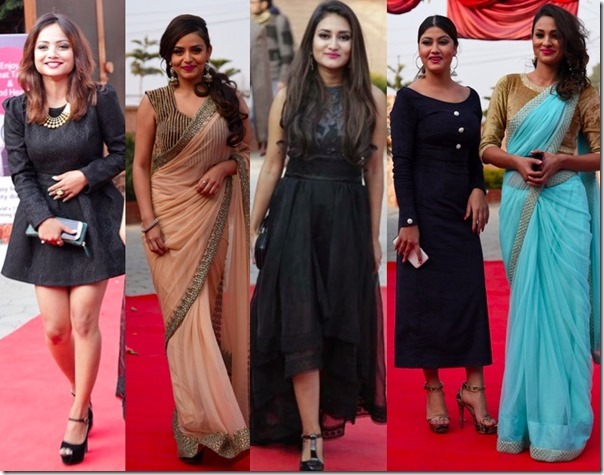 The actresses who were clearly wearing weather-inappropriate clothes were Namrata Sapkota, Ashma DC, Ashishma Nakarmi, Chhulthim Gurung, Neeta Dhungana, and Anu Shah. 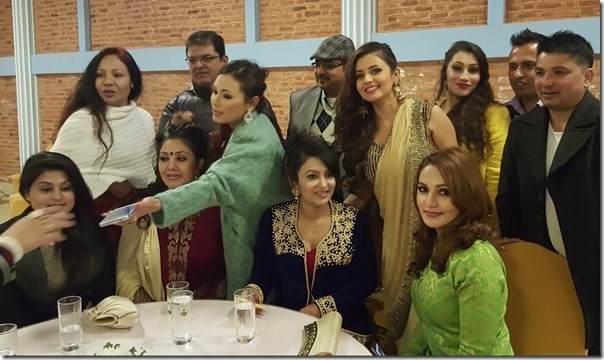 Other actresses present in the ceremony were Rejina Upreti, Shilpa Pokharel, Gauri Malla, Jharana Thapa, Nandita KC among others. 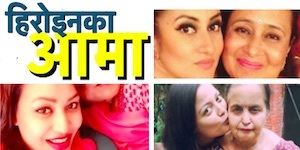 The full list of the winners of D Cine Award 2015 is available in xnepali. 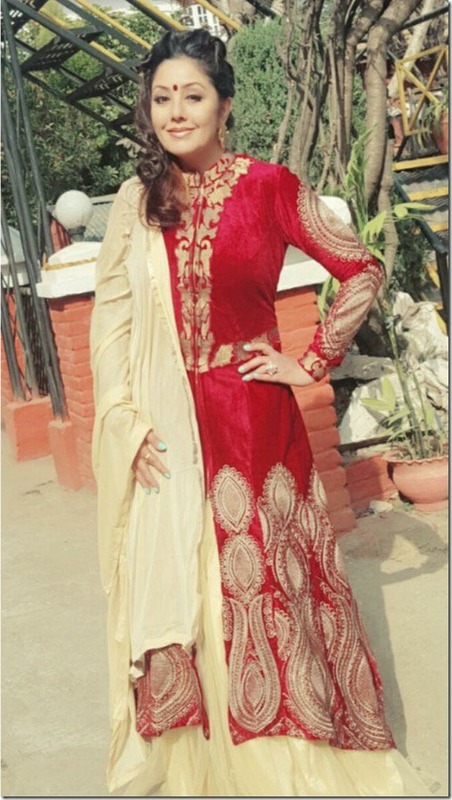 This entry was posted in Gossips, Photo Gallery, video and tagged D Cine Award, fashion, Karishma Manandhar. Bookmark the permalink.